It is estimated that more than 3.5 million children under the age of fifteen are hospitalized each year. For some of these children, a hospital stay is a planned event for a surgery or continued treatment for a chronic illness. Others are hospitalized due to a sudden, unexpected illness or injury. Regardless of the reason, a stay in the hospital can negatively impact the life of a child. In addition to their condition, kids become depressed, lonely, and upset. These feelings of negativity can play an adverse role in treatment and on recovery time. This week we volunteered with an organization that brings smiles to the faces of children in hospitals all over America. 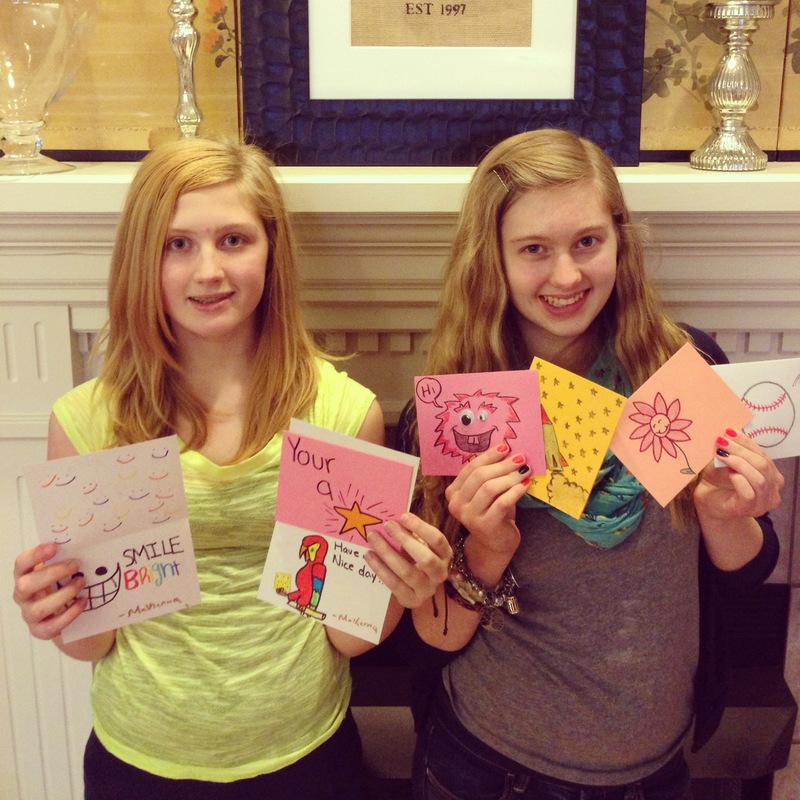 Cards for Hospitalized Kids is a charitable organization that spreads hope and happiness through homemade cards. 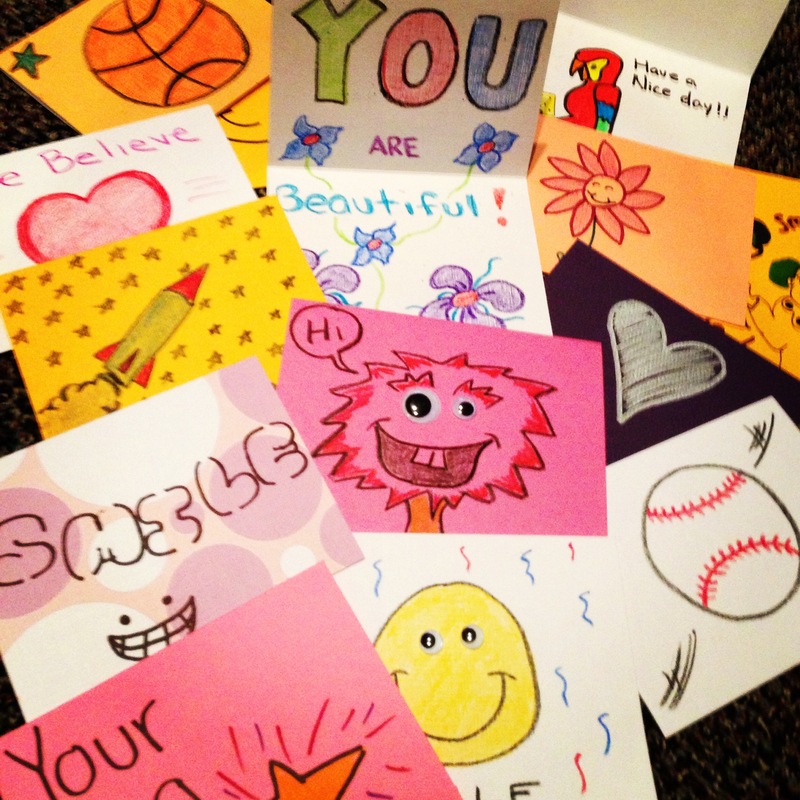 These handcrafted cards of love are created by volunteers, collected, and distributed to thousands of children in hospital rooms all over the country. The goal…..bring a smile to face of a child while offering them encouragement during a time of duress. As a family, we sat down and made about 30 cards. “We Believe In You”, “Smile”, and “You are Beautiful” are a few of the messages we wrote. Oh, and of course there were a few “Be Outstanding” cards as well. You are probably not surprised. We used crayons and markers to draw pictures of flowers, clowns, balloons, basketballs, and smiley faces just to name a few. We wanted each card to be fun and uplifting. We wrote each card with purpose. We were not alone in making cards this week. Mrs. Craig’s second grade class from Adam’s Elementary also made cards. The students have been following our journey by reading our blog posts in class. Their spirit of giving is growing. They are now looking for ways to positively impact others in their school and in their lives. Many of these children are growing up in difficult situations, but that has not deterred their actions. 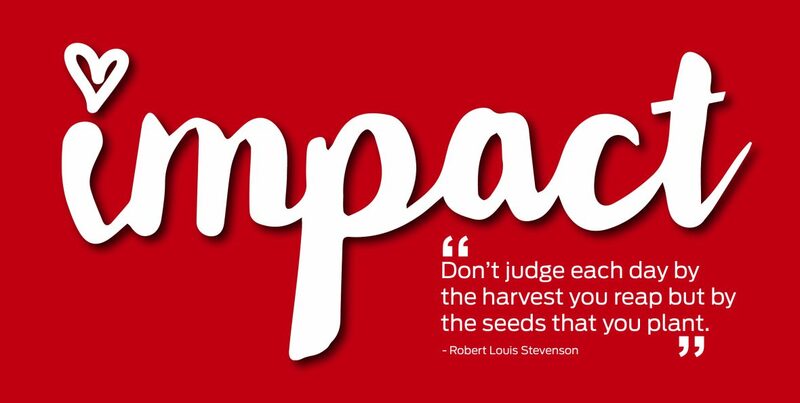 They are learning that regardless of personal circumstances, we all can make the difference in the lives of other people. It is a beautiful thing to witness. 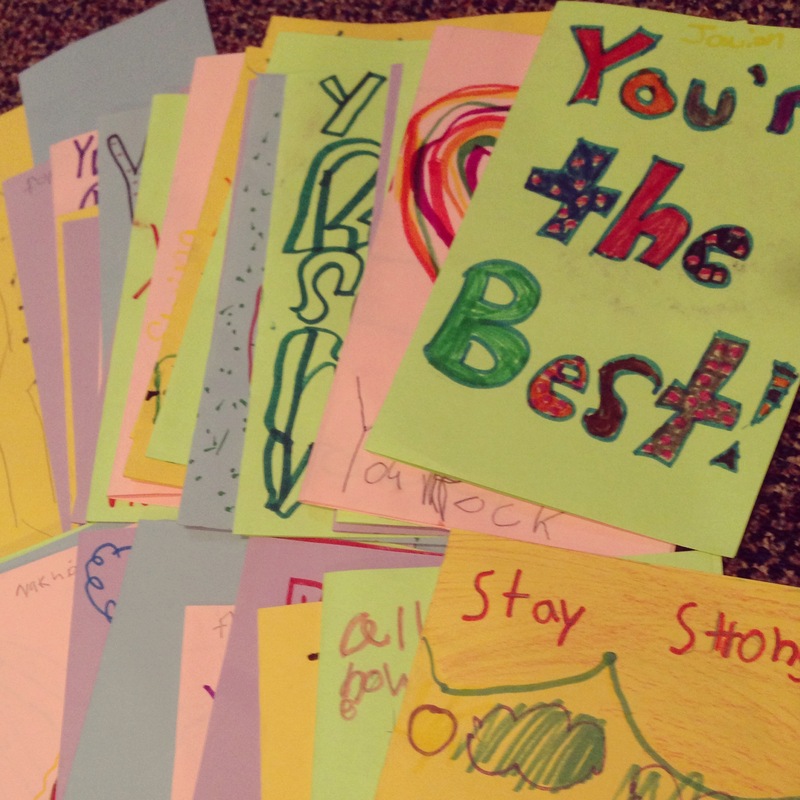 There is no doubt that they will impact the lives of children through the more than 40 cards they created. This week we sat down for a few minutes and made cards for some kids who are battling injury, sickness, and terminal illness. It was a simple task that can be done by anyone and everyone. I would like for you to get involved with Cards for Hospitalized Kids. Take some time this week to make a few cards. Draw silly faces. Write your favorite saying. Let a child know that you care. That is all it takes. You can bring a smile to the faces of children in hospitals all over the country. All you have to do is give up a little of your time and offer some encouragement through a card.